New photos, new News section, same great food! We're happy to share our refreshed website with you! Once again we partnered with the fine folks at Line 58: Branding & Web Design, who worked with us to launch Atomic Burger in 2013. Hope you enjoy these awesome new photos of the food you love, and a new section where you can keep up with the latest Atomic Burger news. Sign-up for Atomic Burger deals and updates. 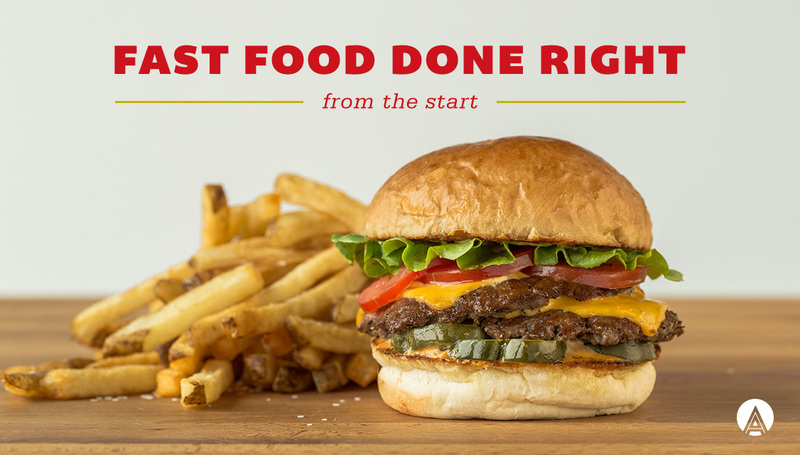 Our burgers are ground fresh in house every day. Our fries are hand-cut from real, whole potatoes. And our liquid nitrogen-chilled shakes are made with fresh dairy. It's not really fast food. It's real food, fast. Are you passionate about good food? Do you enjoy serving people? Atomic Burger may be a great fit, and we’ve got two easy ways for you to apply today! Copyright © 2012– 2019 Atomic Burger. All Rights Reserved.